"Your life is a piece of clay, don’t let anyone else mold it for you." 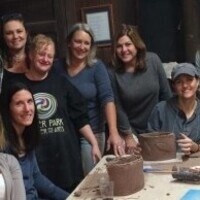 Bring friends and make new ones as we create and enjoy good company and light refreshments! BYOB if you like! Build a new clay project the 3rd Friday of every month. Pick up your fired & glazed piece 3 weeks after the class.